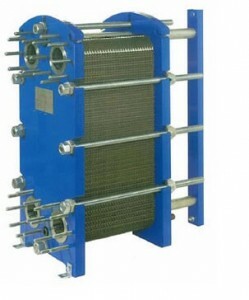 Our Gasketed Plate Heat Exchangers can be designed to suit your precise requirements. Suitable for Heating, cooling and process applications. Our standard range is designed for outputs from 5kW to 5,000 kW. Each system is delivered fully assembled and tested to ensure easy installation. Gasketed Plate Heat Exchanger with AIS 316 stainless steel plates. Standard range working pressure 6 Bar, Higher pressure units are available. Bespoke insulation jackets, safe waste trays and operational screens are also available. HWS Packaage plate are also available, supplied complete with control panel, 3 or 4 port valves, primary and secondary pumps. 50kW – 2000kW.